In Istria Autumn and early winter is the season of the white truffles. Many probably recognize truffles from France and Italy but do not know that they also exist in Istria. Truffles are a type of fungus and autumn is the peak time for white truffles. The white truffle is the most expensive and most tasty. The summer truffles are black, they are milder in taste and somewhat cheaper. Truffles are an expensive “sport” and the price depends on supply and demand, so do not be surprises if you have to pay about 2.000 Euros for a kilo of white truffles. The inland of Istria especially in the area around Motovun, is where the truffles can be found, but unfortunately it is not just something you go out and find an afternoon. Truffle hunters use special trained dogs to find the truffles, and they of course have their own secret places in the forest where they go hunting. Truffles are said to be an aphrodisiac and is used in many different dishes. 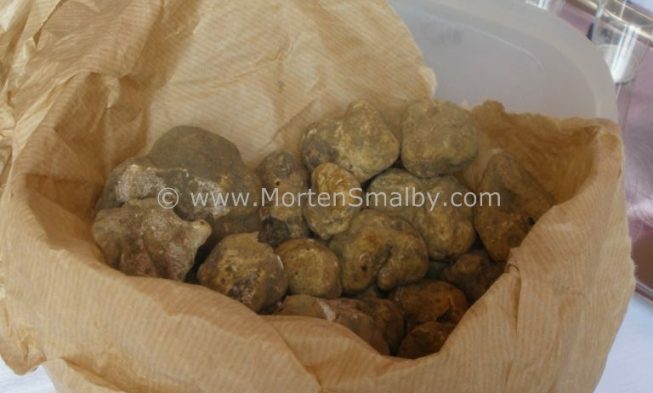 Fortunately, you do not need a kilo of them, if you want to cook a delicious dish with truffles. Often you just use a few grams, which make it affordable for special events, when you add the truffles on top of your dish just before eating it will keep its characteristic taste. Truffles are common in pastas with cream sauce, in combination with other mushrooms, freshly grated truffles taste wonderful on a good steak, but you can also get finished products with truffles, such as cheese or sausage. If you want to experience what it’s like to walk in the woods together with a truffle hunter and see how the truffle dogs are working, then you should visit Istria from in the period from the early October to end of December. On of my friends in Istria, Sonja, runs a travel agency, called Sol-Skin (Sunshine), she organizes tours for small groups where you have the opportunity to taste cheese, sausage, honey and brandy made with truffles, the tour includes a walk in the woods, where the truffles can be found, which of course is an interesting experience. The tours can be organized as a half-or full-day tours. From the Istrian coast, where tourists usually stay, we drive to the heart of Istria, the mountain town of Motovun. From here we continue on a small road in the direction of Butoniga lake. In a small village we visit our truffle hunter, who in this case is a woman. Mrs. Danica is a has inherited her truffle hunter genes from her father, who thought her to hunt for the truffles, the special trained dogs. On their farm they have a delightful terrace where guests can sit and taste the house specialties. 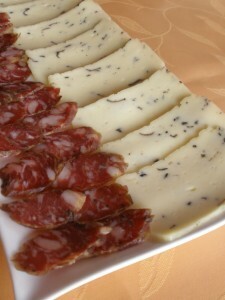 Of course it is also possible to buy various products ranging from salami, cheese, oil for fresh truffles. First, we take a walk in the woods. The walking tour takes from 15 min up to one hour depending on the physical condition of the participants. It is recommended to have hiking boots as the terrain is sloping and there can be mud. The fresh walk opens the appetite, so you really can enjoy the tasting of the wonderful dishes, sated and satisfied, we will start the trip back to the coast. The trip can be combined with a guided tour in the medieval city Motovun, which is located at approx. 277 m elevation, the city is also called the Mirna valley queen. Mirna is a river flowing into the valley below Motovun and is one of 3 rivers in Istria. 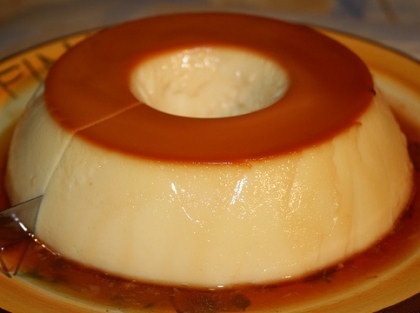 Here is a little inspiration for a dish with truffles. 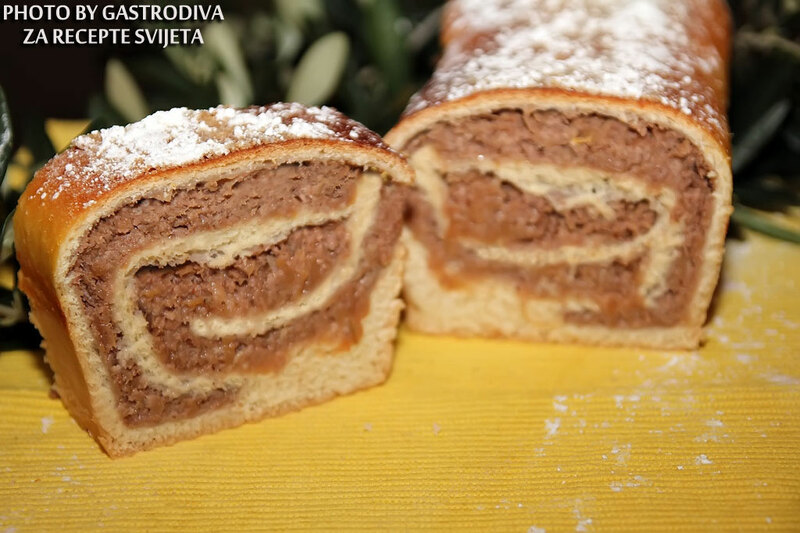 In this dish we use a paste form called FUŽI, which is the most used in Istria, of course you can use another type of pasta – like. gnocchi or tagliatelle. Heat the butter in a frying pan, grill the porcini / ceps in a few minutes, add the cream, let it cook for approx. 10-15 minutes, Pasta cooked beside – Al dente – mix it with the sauce and then add the Parmesan cheese and grated truffles on the dish before serving. 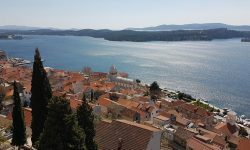 I’m writing from Italy (I’m an american expat from Hawaii) and only came across your blog recently while looking for travel information to Croatia. Just wanted to say that you have a very helpful and wonderful website! Keep up the great work! I enjoyed reading your articles very much. I especially liked your article about Istria truffles. My family is from Croatia, but I grew up in Canada. I am seriously researching the prospect of staying in Istria during the white truffle season (or permanently) and export it to buyers in other countries. 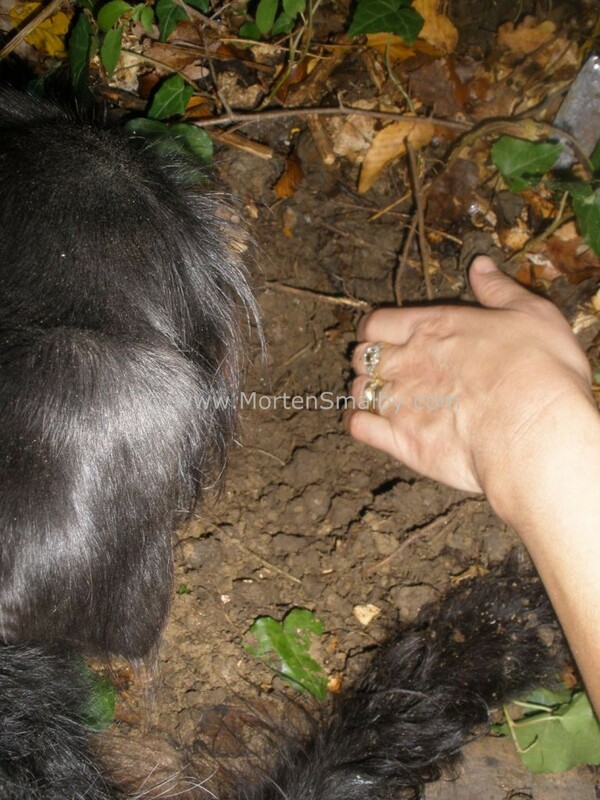 I have emailed several Croatia government departments to inquire what the laws are about exporting truffles (ie. quantity, permits, licenses …), but none have replied to me. If you have any insight or reliable contacts, I would appreciate your help. Please feel free to email me directly, if you wish. Your website has been instrumental in our amazing stay in Split for 6 weeks, we have learned so much and have gotten off the beaten path, had so many adventures and appreciate all that you do!!! Thank you! I am so glad to here you have good time here in Split, and i am trilled to hear that my information was usefull, thanks a lot. If Sonja for some reason should not have time, i am sure you she can recommend you someone else fra the area. Thank you so much Morten, you are an invaluable asset to Croatia, and I look forward to hearing from Sonja. Thanks once again, i chatted with Sonja on facebook, she was not in the office this weekend that why she did not reply you, but she will this morning when she get there. Good afternoon. Tell me, please, a company in Croatia, which is engaged in mining selling truffles. PS If not more difficult, unsubscribe to my mail. Thank you.